Aside from the one-letter spelling variance, how do averse and adverse differ? The patient suffered an adverse reaction from the medicine he was administered. Averse is to be turned off or repulsed by something. I’m averse to the idea of running a marathon. These words are often confused because of their related meanings but differing spellings. Though anecdote and antidote have very different definitions, they look and sound similar enough to be confusing. An anecdote is a short narrative, often personal and used to illustrate a point. Stand-up comedians often use humorous anecdotes as part of their shtick. An antidote is something that remedies or relieves. There is nothing the slightest bit awesome about agreeing to have the receipt placed in the bag with my merchandise. I think my response was rather typical. 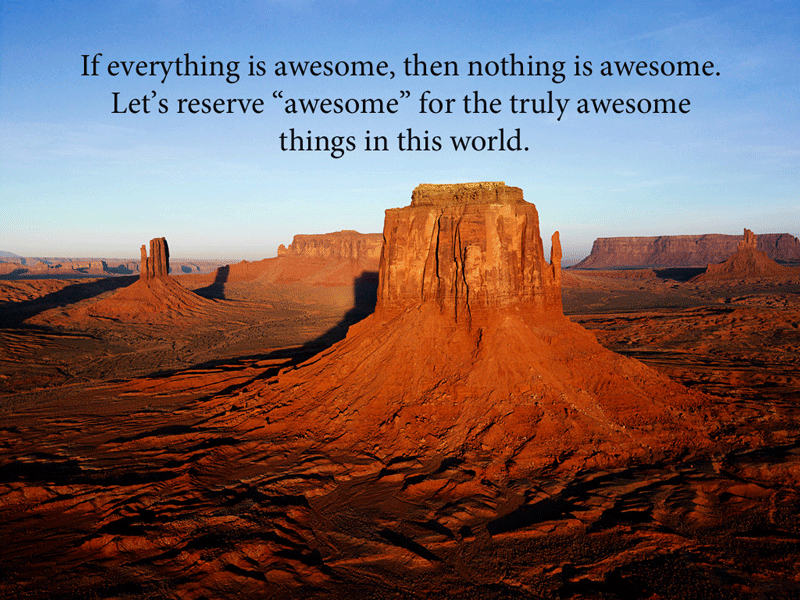 What is an alternative response to “Awesome”? In many cases, a simple “OK” or “Thank you” will suffice. Even a response of “Good,” though also common, is a more appropriate response. Let’s reserve the word awesome for things that are truly awesome. “Stay for awhile”… or “Stay for a while”? Is a while (written as two words) correct, or should it be awhile (written as one word)? Both forms are correct, though it depends on how each is used in a sentence. Though there is a difference between the two forms, it’s common to see them used interchangeably.